One of your number one priorities, when you have an online business, is to try to make the top three spots on SERP’s (search engine results page). As a local business, your Minneapolis SEO (search engine optimization) must be geared towards giving the web crawlers as much information as possible so they (Google, Yahoo, Bing, etc.) can better understand your product or offering. When you help them to decipher your content, they reward you with a higher ranking on the results page. Do You Speak Web Crawler? One of these methods to “talk” to the search engines is called “structured data mark up, ” and it is one of the essential aspects of your Minneapolis SEO efforts. When we create your content, it’s with the human consumer in mind, but it is unreadable for the search engine web crawler. Structured markup data comes in as an ‘interpreter.’ It’s added to your website page’s HTML markup (as you can see a little bit of basic coding is going to be required). When the search engine ‘reads’ this information it creates additional, rich snippets about your website which displays in the SERP’s. By adding structured data, you get given more real estate on the SERP’s, like the operating hours of your business, review status, product pricing, etc. This is SERP gold. When the crawlers can understand what your business is all about, they can gauge what you are ‘selling’ and rank your business web page accordingly. Structured data needs basic data info like your business’ name, address, and place (NAP), but it can understand the complexities of your site as well, given the right input. It is possible to structure data markup to reveal the content of your services, blog articles, products, etc. Each of these different offerings requires a different structured data code to create the rich snippet. It is important to note, that even if you do provide the structured data markup code to your website, Google might not always display a rich snippet for your business. But that shouldn’t stop you from giving the search engine as much information as possible about your business, in the hopes that they will generate a rich snippet for you on SERP’s. The tricky part used to be that unless you were proficient in coding, you would not be able to add structured data to your site. Now you can use a free tool like Google’s Structured Data Markup Helper to get the ball rolling. You just submit your business web page to the “helper.” This allows you to “tag” the relevant page elements you require using your mouse, and then receive a sample HTML code that has all of this microdata you have inputted. The next step is to download this code from your business website. Many third party services can walk you through the steps so you can benefit from having structured data markup for your Minneapolis SEO strategies. While these services are fantastic, sometimes it is more beneficial to enlist the services of a developer who understands the ins and outs of structured data markup. It will take them a fraction of the time it will take for a beginner, and you can be assured that the code has been appropriately implemented. Obviously, keywords are still necessary for your SEO campaigns in Minneapolis, but the Google algorithm keeps evolving, and we have already seen a new feature like “conversational search” coming into play. This feature can tell where the user is based geographically, their search history, and who they are, which allows the search engine to offer them more relevant options. This means that if you have optimized your business website with structured data, your page can rank higher when people are searching for products or services in your local area. Structured data is one of the most essential tools in your Minneapolis SEO basket. It’s not all about keywords, but rather the degree to which your website is aligned with the search engines focus on providing personalization and localization options for their users. 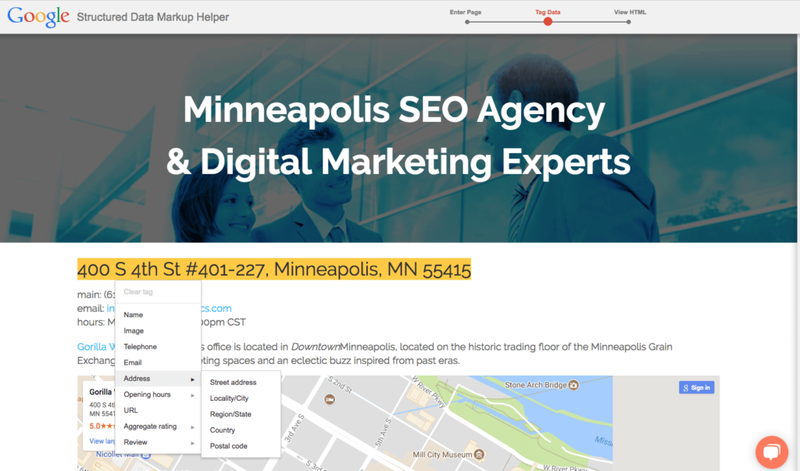 If you are a business in the Minneapolis area and are needing assistance with adding structured data markup to your business website, let us show you the ropes. 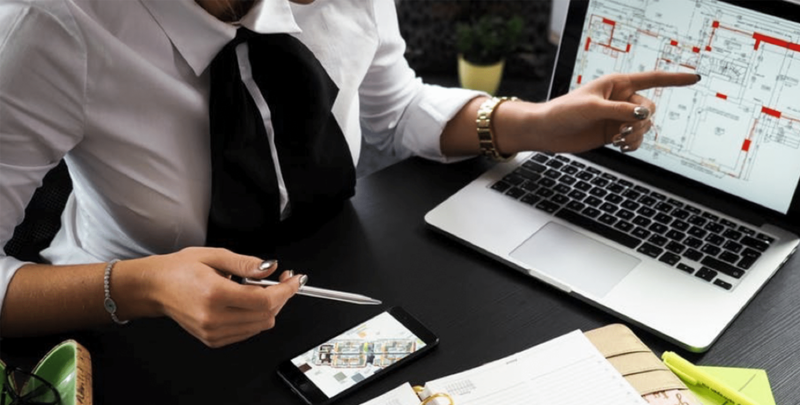 Give us a call; our experts will show you what formats to use to ensure the best rich snippets for your business on the search engine results pages. Book a call with one of our Minneapolis SEO Experts for FREE advice today.